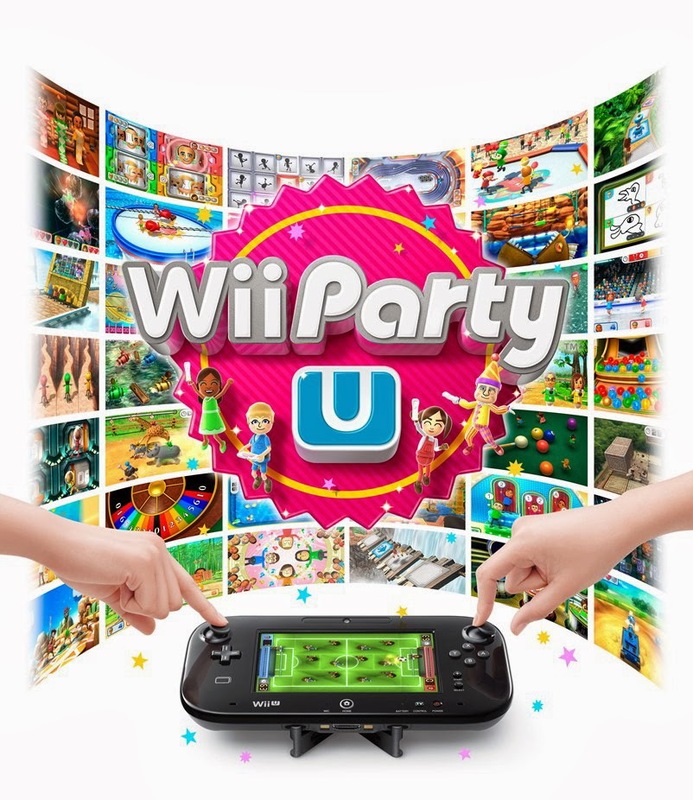 Welcome to the official discussion thread for Wii Party U on the Wii U! To start, please add this game to your log, add it to your collection (if applicable), and (when you are ready) rate it using the link above! Game is out today! Let's start the party!!! Unfortunately, it is not (yet?) available digitally so I won't be jumping in right away. But I want some impressions from you guys. Feed me!!! I wanna know how fun the off-TV gamepad games are, and the weird button pressing game. Since the game comes bundled with a Wii Remote Plus and a stand for the GamePad for $50, does that mean that the digital version will be discounted? If it's more than $20 then you might as well buy the bundle for the controller alone. No digital version in the foreseeable future. Apparently delivery was attempted at home today but when my girlfriend buzzed the door open for him, he didn't come up? Super weird. Anyway, looks like I'm not gonna have it for the week-end. My copy is en route to my sisters house, but probably won't get to play it this weekend sadly. Next weekend I'll have impressions. I picked it up along with the batman games this morning. The GF and I may give it a try later tonight. I actually ended up getting the game on Friday, so the girlfriend and I played many of the 2p games. My first impression was that the menus are confusing. There is a logic to it, but the end result means that there are subdivisions within subdivisions. You got TV Party (whatever that means) which has 5 modes, you got House Party which has its mini-games, and somewhere under one of those two main menus is another menu of minigames, separate from the main House Party mini-games... It's kind of a mess and trying to find that one game that you love is bound to be awkward, initially. There are several game boards (like Mario party), but there are a little disappointing. The first one is a long, long, zig-zagging highway. Pretty unimaginative and disappointing. The second board is like a miniature version of the "Indiana Jones-like" game board from the first Wii Party, but this time, every roll of the dice is its own mini-game. It's actually pretty cool, and makes the act of rolling the dice less luck-based. The people trailing behind get easier versions of those mini-games, however, so they still got a shot at catching up. Cool, how about the actual minigames? Fun? And the table top games!? Some of them are fun, some of them aren't. There are too many to analyze them all. I dislike the ones that are pure randomness, in which your choices don't actually matter. Thankfully, there are very few of those. The mini-games that are about skills are a little bit more fun, but of course, shallow. I enjoy them more, but quite frankly I get the most enjoyment out of seeing Miis of people I know strike a stupid pose, wearing a turtleneck, or making funny faces. There there are a couple of more meaty games that I wish were even meatier. There is a "falling blocks" puzzle game with a 2p VS mode, an Endless mode, and a 50 stages "Clear to the line" mode which I almost wish were more fleshed out and put on the eShop instead. And there is a fun Boom Blocks knockoff that I wish had way more levels. The GamePad games are pretty fun. Baseball and Foosball are exactly what you expect them to be. There are also cooperative games that are almost Rhythm Heaven-like, in the way they demand perfect coordination. I haven't been able to play any of the 1 VS 3 games, and unfortunately that's where you find some of the most interesting games such as Name That Face or the Tanks game. I actually enjoy the random mini games when they come up when I'm playing with my family because it gives my little niece more of a chance to win than usual and particularly when the mini games matter a lot it makes them quite tense. Thanks for the impressions! Sounds like fun. Yeah those games are always thrown in there to balance things out. But yeah @Guillaume they are usually not too fun if you're competitive. And as I said, GamePad Island has dice rolls that are minigames in and of themselves, and that are more difficult when you're leading. I think it's a more elegant solution than "games" with random outcomes. Plus, when Karen's niece and nephew lose at those games, they get really whiny. No one in our families like them! Wish the fashion show board had more costumes. Oh well. This will have to do. I grabbed this game for $40 (so, essentially, free with the Wiimote Plus). The original was fun times, and this one seems to be the same. I've only tried the 2-player Gamepad party stuff, but most of it was pretty fun. Tabletop Baseball is awesomely competitive and the tile-based puzzle game was kickass, as well. I'm totally looking forward to digging into the rest of the package. You should all have this game. It seems like a solid addition to the Wii U's multiplayer suite. Also, I agree that the random games make things more fun for small children. Finally got a chance to play this today. Was surprised to find out there was no 5 player modes. I brought Nathalie for that very reason and then one of us had to sit out. Also sad to see that Swap Meet did not make a return. Loved that mode in the original and probably means we will be returning to that game pretty regularly. Didn't get a chance to play Spot the Sneak because once again it needs to be unlocked. Why Nintendo? WHY? Oh well, my niece reported that she has since unlocked it so all is well. The two modes I did play were the zig zag highway one which I agree is pretty boring and the Fashion Show which was fun for a while but it took forever and it seems like you couldn't make it any shorter. Once people had seen all the outfits completed there really wasn't much to it. So yea, so far not really too exciting but the same exact thing happened when we first started playing Wii Party: underwhelming until we found the modes that really hit the spot. I just hope that those modes exist in this game somewhere. Getting a lot of mileage out of this, I think we've played it every night in the last week. Balldozer is getting the most play, it's a nice alternative to progressing on a board - although, dammit, I win every minigame and still almost always lose in total number of balls at the end. Fun though. I played a ton today. First I played all the 2 player Gamepad games with my niece. Most of them by far were not particularly interesting. The ones that we particularly enjoyed were the mini game where you made hamburgers (made us hungry too) and definitely the one where you have to remember the different animals. We made it to Stage 5 but were completely caught off guard by the shape of that one and didn't figure out in time how to divide up the memorizing responsibilities. Fun though, and we'll try again next time. Then we finally played the long awaited Spot the Sneak. The best news is that they've solved the problem of the original that, in 5 round games, you always know who will be the sneak in the last round if someone hasn't been the sneak yet. We always played 3 rounds to avoid that problem, but now we can play longer games. In other good news, we didn't get a single repeat of a mini game so seems like there are more eligible options. Also, they seem to have tried to get rid of mini games where it's obvious who the sneak is, like the mermaid or zombies ones in the original. Now you can be very sneaky, but the sneak powers are also much more powerful it seems. Now it's a lot more about judging people based on your knowledge of their skill at the games and also reading poker faces, etc. Definitely had fun and I'll be interested to see how it turns out. We also played the island adventure one or whatever. The different rolling mini games were pretty cool and it's nice that the balloons ensure that you'll get mini games fairly often (unlike the highway one). But, I definitely don't enjoy the board game modes in Wii Party as much as the other modes. Still hoping to find something as good as Swap Meet. Played some more of this last night and tried some games I hadn't done yet. Really loved Button Smashers, the kind of "Finger Twister" game where you and the other players have to hold down different buttons on the controllers without letting your hand slip off. Was really challenging and completely different from any video game I've played before. Such an inventive use. Did it with 2 and 3 players and it was fun in both, probably even harder with 3 players because you add an extra remote and it gets even more chaotic. Will definitely try with 4 players sometime soon. Also tried the sketching game where everyone takes a turn drawing something on the Gamepad. One person gets a slightly different word than the rest of the players and at the end you have to guess who had the different word. So, for example, my sister got "train", while me and my niece got "truck". Then you get points if you vote correctly or if someone votes correctly for you. The actual competition is kind of ho hum, but the drawing can lead to funny moments, like both my sister and my niece not knowing what a bearded dragon is, so just drawing a dragon with a beard. I think there's a lot of potential for drawing games on the Wii U. Hopefully there'll be some Pictionary game coming at some point, seems like a natural fit. The "Do You Know Mii" game is kind of interesting, but somehow less deep than the version from the original Wii Party, where you answered lots of questions. Kind of disappointing. The "Feed Mii" game was the real loser of the bunch we tried yesterday. Just involves remembering a few things and then the game has no way to judge how you did. Definitely won't be going back to that one. Also, my niece and I went back to the animal memorization game and made it all the way through. We definitely got good at memorization strategies and when you have a big board, doing good on the mini games really matters so it was pretty intense. We beat all the stages and are probably done with it, though. I grabbed this as my free game with Mario Kart. Trish and I dragged each other away from Mario Kart to give some of the modes a whirl. We played the Zig Zag game, which was all right. We enjoyed the mini games at least. Foosball was pretty fun, although we JUST got a real foosball table a couple weeks ago. It definitely plays differently though! We also played the Indiana Jones-ish Game Pad rolling game. It was fun, but it took too long. Can you turn off the instructions and go straight to rolling? We look forward to trying a few more games out soon, but Kart beckons.